This statistic shows the distribution of opinions regarding the right to decent housing in Great Britain (United Kingdom), according to British adults in 2014. 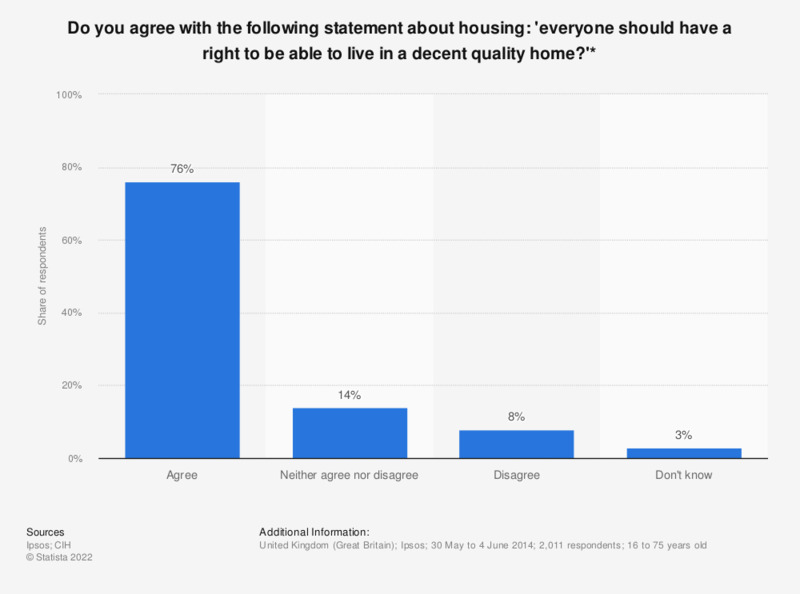 At that time, 76 percent of respondents agreed with the statement "everyone should have a right to be able to live in a decent quality home whether or not they own it". * The question read in full: "To what extent do you agree with the following statement about housing in Britain: everyone should have a right to be able to live in a decent quality home whether or not they own it." If new homes were to be built in your local area, which if any of these types of homes do you think are most needed?